In September/October 2018, Will Sim, Uisdean Hawthorn and I travelled to the Zanskar valley, in the Indian state of Jammu & Kashmir. We aimed for the north face of Barnaj II. 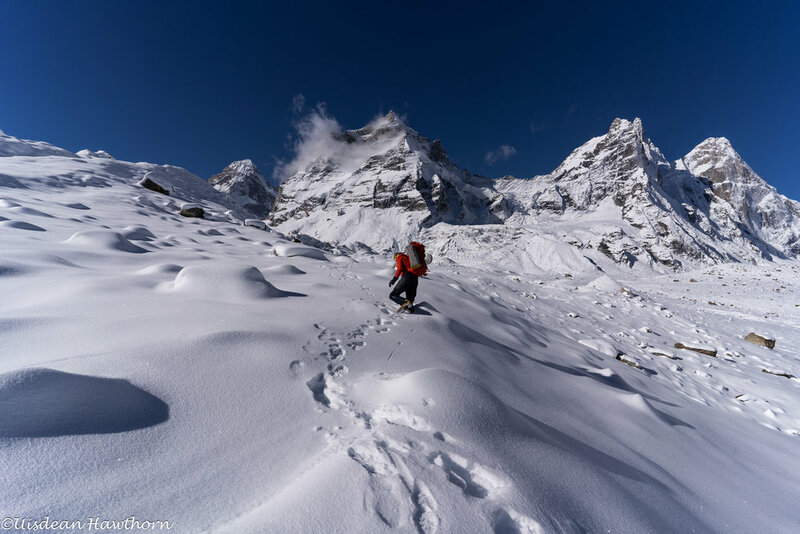 Unfortunately, unseasonably early and heavy snowfall meant we encountered lots of problems (like the local Police arriving at base camp and - initially - demanding we abandon the expedition), and access to our objectives being complicated. We walked into our ‘Plan D’ option (Chiring, ca. 6300m), but this took 2 days, instead of about 6/7 hours.